I don't drink a lot of coffee, but my sons do and they often use my new Willow & Everett Pour Over Drip Coffee Maker for making their coffee. To use this you just place it on top of your coffee cup, add coffee, pour boiling water in the top, and wait for your fresh brewed coffee to drip through. It just takes a few minutes for a fresh cup of coffee. 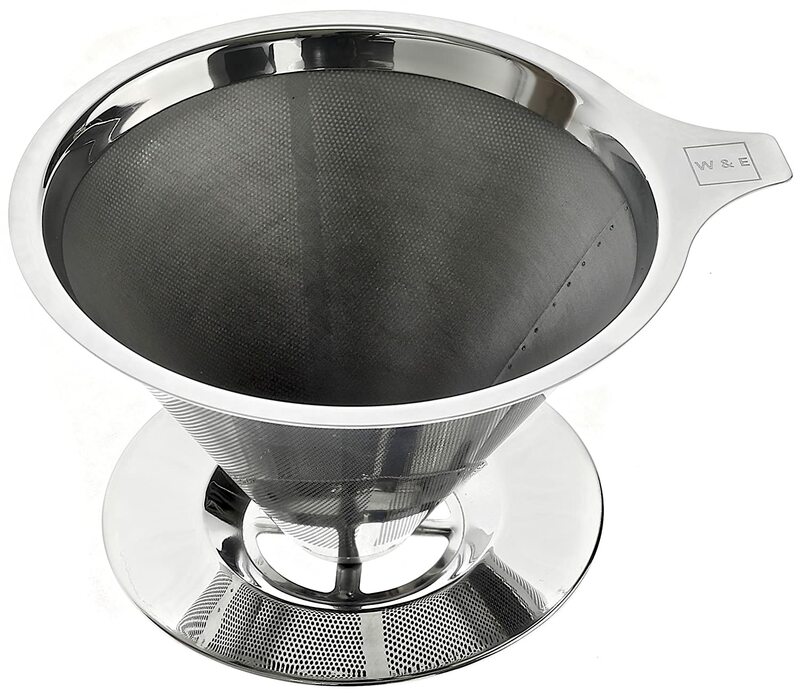 It is made 18/8 food grade stainless steel and the fine mesh keeps out the grounds pretty well. It also makes a great cup of tea. This is one of those gadgets that I never thought I needed but use nearly every day.